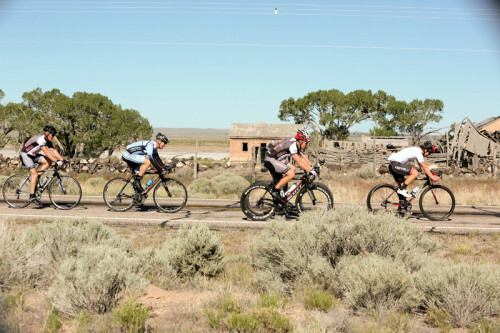 The Ride the Gap Century bike ride will be held in Parowon, Utah on June 6, 2015. 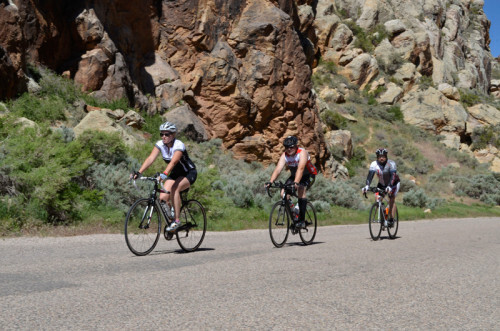 The ride travels through the beautiful Parowan Gap and has distance options of 100, 55, and 30 miles. We asked event organizers Spingeeks a few questions about the ride. CU: Where can people stay in Parowan? Is there camping? People can stay at Days Inn Hotel or several Bed & Breakfast, Camping up the canyon at Yankee Meadow about 10 mile from Parowan. 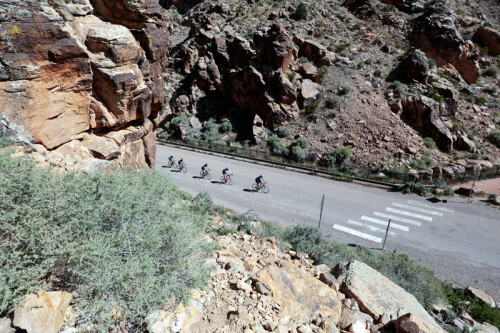 CU: What is the Parowan Gap? Can you tell us about the history, cultural importance, and geology? The north wall of Parowan Gap contains a huge gallery of Native American rock art. Most petroglyph sites contain figures of humans and animals. This petroglyph site contains many deeply inscribed geometric forms, along with some humans and animals. The most interesting feature of this site is a very large and deeply inscribed petroglyph known as the “Zipper”. Many archaeologists believe the “Zipper” is a composite map (space) and numerical calendar (time). CU: What other attractions are there in the area if people decide to make a weekend of the trip? The dinosaur tracks (natural casts) occur in the Iron Springs Formation and are usually in the fallen blocks of light yellow-brown sandstone. Some tracks do occur in place, but most are in the large fallen boulders, so check them first. Originally, these footprints were made in non-resistant mudstones which have since eroded away to expose the sandstone cast. Most of the tracks at Parowan Gap were made by Hadrosaurs, which was one of the most abundant dinosaurs in North America. The tracks contain three toes and resemble giant bird feet. Hadrosaurs, nicknamed “duck-billed” dinosaurs, spent their day grazing much like a modern day cow. They weighted a couple of tons and were 10 to 40 feet long. CU: Anything else that you’d like to add? Nearby attractions would be Brian Head ski resort & Cedar Breaks National Monument. In Parowan you have the Old Rock Church museum & Parowan public swimming pool.